If you’re looking for a lightweight, compact, and durable hatchet for your camping and backpacking adventures, this is the one. 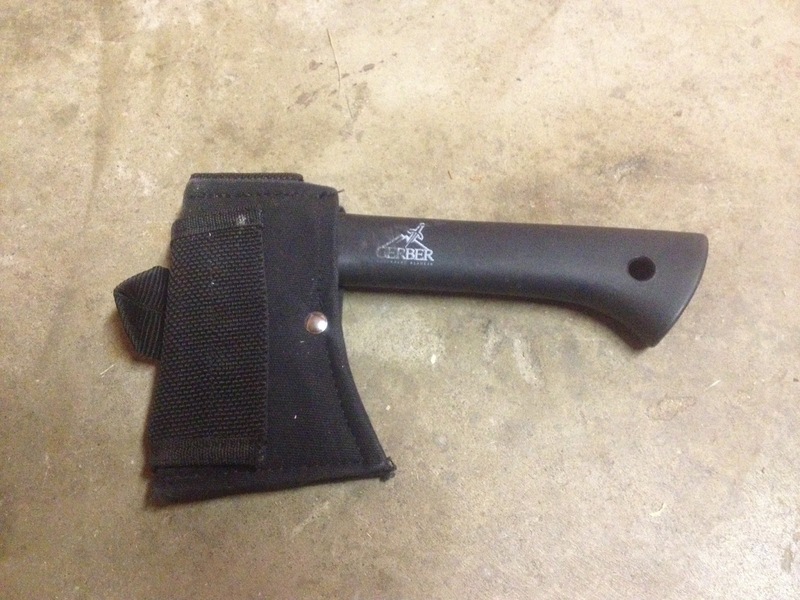 Ladies and gentlemen, the Gerber Back Paxe hatchet! Let’s start with weight. Obviously, nobody wants to be hauling around a heavy axe or hatchet on their pack, but you can’t deny the benefits of having such a useful tool in the wilderness. At only 19 oz., you won’t have to worry about the Back Paxe weighing you down. The Back Paxe has a Fiskars branded heavy duty fiberglass handle that is virtually unbreakable. It fits comfortably in your hand and is just the right length. Measuring just under 9″, it’s long enough to be functional for cutting, chopping, and balanced swinging, but compact enough to fit in the pocket of your pack. The handle is also molded around the axe head, which is a huge plus! You’ll never have to worry about the head coming off the handle! 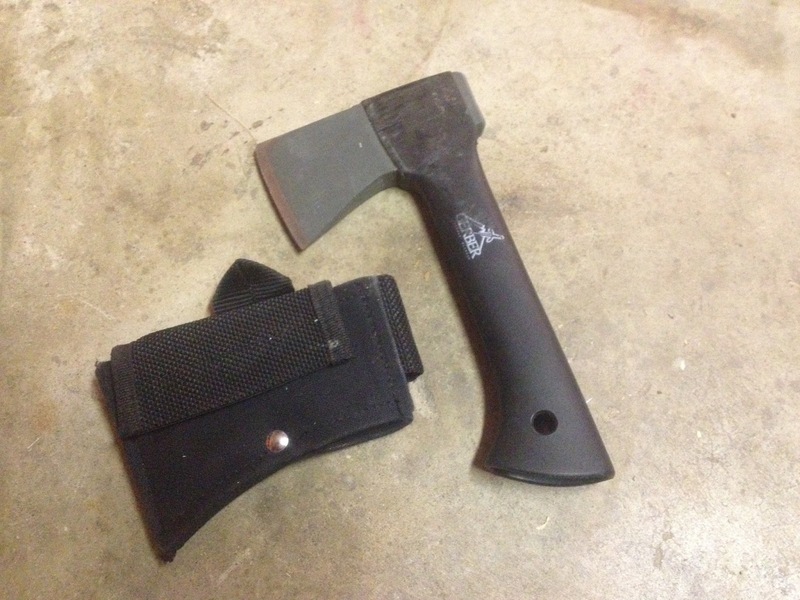 The axe head is forged steel, tempered to hold a sharp edge. And it really does hold its edge. I have been really impressed with how the Back Paxe stays sharp even after lots of hard use. The other great part about the axe head? Turn it around and use it to pound stakes into the ground! I love its functionality. When I bought my Back Paxe, it came with a really great nylon sheath that was perfect to protect the blade and strap to a clip or belt. In other comments, reviews, and feedback that I have seen, it sounds like the sheath may not be available in all packaging or models. Make sure you look for the sheath! Gerber makes a great product and great blades. Their reputation holds true with this hatchet as well. It won’t break, won’t rust, and won’t chip. This thing is indestructible. Trust me, I was a Scoutmaster. Hack away, boys!